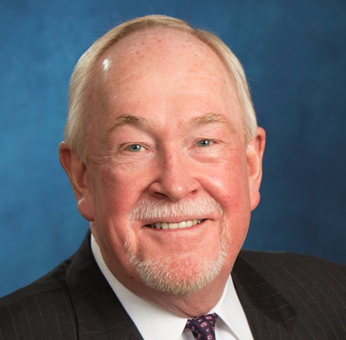 Since 1980, Dan Glavin has counseled a variety of insurers, self-insureds and business owners in complex business decisions and litigation matters. 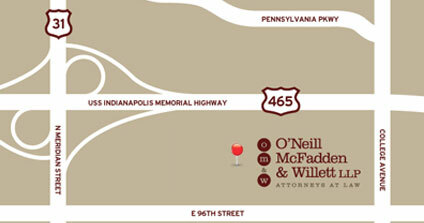 His practice focuses on commercial and casualty litigation, with 35+ years of litigation experience, and he has tried cases in state and federal courts across Indiana, including more than 100 jury trials. He was certified as a mediator in 1994 and has conducted more than 1000 mediations. He holds an AV Peer Review Rating from Martindale-Hubbell. Dan is a member of the Defense Trial Counsel of Indiana, the Association of Defense Trial Attorneys, the Seventh Circuit Bar Association, and the Lake County and Indiana State Bar Associations. He has spoken many times at continuing legal education seminars. He is a charter member of DTCI’s amicus curiae committee. Perpetual Wambugu et al. v. Unnamed Funeral Home (Indiana Court of Appeals, August 17, 2017)—Affirming defense verdict in a case in which plaintiffs made claims of negligent embalming of human remains and sought damages for negligent and intentional infliction of emotional distress. The Supreme Court of Indiana later denied a petition to transfer. Jabaay v. BMWC et al., 45A05-1608-CT-1768 (Indiana Court of Appeals, June 14, 2017)—Affirming summary judgment in favor of subcontractor in a wrongful death claim arising out a construction accident. P.K.B. v. G. & A., 45A03-1607-CT-1601 (Indiana Court of Appeals, December 27, 2016)—Affirming summary judgment in favor of a law firm in a professional liability claim. Purnick v. C.R. England, 269 F.3d 851 (7th Cir. 2001) – Affirming summary judgment in favor of a trucking company on a punitive damages count. Frequently cited for the proposition that a driver’s falsification of logs does not support an award of punitive damages. Guerts v. Barth, 892 F.2d 622 (7th Cir. 1989) – Affirming a jury verdict in favor of a bus driver who rear-ended a stopped vehicle. Manns v. Richie, 937 N.E.2d 411 (Ind. Ct. App. 2010) – Affirming summary judgment in favor of a divorced husband who was alleged to have wrongfully denied his former wife a recovery in a consortium claim. Jayakar v. P. & F., 918 N.E.2d 468, 2009 WL 4892538 (Ind. Ct. App. 2009) – Affirming summary judgment in favor of a law partnership in a professional liability claim. Gerald v. Turnock Plumbing, 768 N.E.2d 498 (Ind. Ct. App. 2002) – Affirming a trial court order disqualifying plaintiff’s lawyers. First Indiana case analyzing “imputed disqualification” when a lawyer changes firms and the new firm is adverse to a client of the former firm. Harper v. C. R. England, 687 F.3d 297 (7th Cir. 2012) – Affirming summary judgment for an employer alleged to have allowed a hostile work environment to exist based on racial slurs. Northern Indiana Public Service Company v. BMW Constructors, Inc. et al., Marion Superior Court (February 1, 2017). Obtained summary judgment for a contractor in a declaratory judgment action seeking indemnification for expenses incurred in defending a wrongful death claim arising out of a construction accident. Perpetual Wambugu, et al. v. Unnamed Funeral Home, St. Joseph Superior Court (August 26, 2016). Represented a funeral home against claims of negligent and intentional infliction of emotional distress based on complaints that a decedent’s remains were not properly embalmed. After four days of trial, the jury returned a defense verdict. Jabaay v. Area Sheet Metal, Inc. et al., Lake Superior Court (July 15, 2016). Obtained summary judgment on behalf of subcontractor in a wrongful death claim arising out of a fall from defective scaffolding at a construction site. T.O. v. R.P., et al., United States District Court for the Northern District of Indiana, Cause No. 2:15-CV-72 (February 15, 2016) – Represented an attorney against claims of abuse of process and negligent infliction of emotional distress in a case involving an alleged wrongful arrest. Discovery revealed that plaintiff had failed to schedule the claim as an asset in her Chapter 7 bankruptcy, in which her debts were discharged. After the attorney filed a motion for summary judgment asserting judicial estoppel based on the bankruptcy proceeding, plaintiff stipulated to dismissal of her claims with prejudice. R.S. v. W.S., United States District Court for the Northern District of Indiana, Cause No. 3:14-CV-1951 (February 5, 2016) – Represented an attorney in a claim for legal malpractice. Summary judgment was entered for the attorney on the basis that plaintiff’s failure to prevail in an underlying claim was due to the legal interpretation of a contract, not due to any error or omission on the attorney’s part. Orellana v. Bernardi Brothers, LLC, Lake Superior Court, Hammond, Indiana, Cause No. 45D01-1302-CT-49. August 18-25, 2014. Represented bar/restaurant in dram shop claim arising out of the wrongful death of a mother of four. Intoxicated patron/driver was shown to have a blood alcohol concentration of .26 at the time of the accident, which occurred shortly after he left the defendant establishment. Defense verdict after plaintiff’s counsel asked the jury to award $18 million. C.M. v. G.E.M., Inc. et al., United States District Court for the Northern District of Indiana, Cause No. : 2:09-CV-198 APR (April 14, 2014) – Won summary judgment on behalf of his clients in federal court litigation arising out of a dispute among family members who were shareholders in a closely-held corporation. Plaintiff had asserted a state law claim of breach of fiduciary duty and federal claims of Title VII discrimination and violations of the Family Medical Leave Act and the Americans with Disabilities Act. Seyring v. Herr-Voss Stamco, Lake (Indiana) Superior Court, Cause No. 45D02-0710-CT-150 (August 16, 2012) – Assisted Pittsburgh’s K & L Gates in winning a defense jury verdict in a case in which the plaintiff alleged a defectively designed coil tensioner on a steel slitting line crushed his left hand, ultimately requiring amputation of his arm just above the elbow. Collins v. Neals, et al., 2011 WL 3321294 (N.D. Ind. 2011) – Granting summary judgment in favor of a construction company in a claim arising out of a car-truck accident in an expressway construction zone. The court also sanctioned plaintiff for pursuing a frivolous claim. Lafrey v. Cintas, et al., Lake (Indiana) Superior Court, Cause No. 45D01-0911-CT-168 (June 20, 2011) – Granting summary judgment to a convenience store in a claim for indemnification under a vendor’s purchase order. Neighborhood Housing Services v. Rainbow Community, et el., 2009 W L 5031336 (N.D. Ind. 2009) – Granting summary judgment to an insurer based on a professional services exclusion. 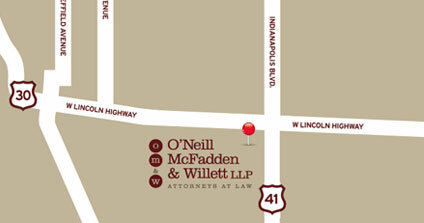 Dan joined O’Neill McFadden & Willett LLP in September 2011 after 31 years with Beckman, Kelly & Smith in Hammond, IN. Mr. Glavin holds AV® Peer Review Rating from Martindale-Hubbell, its highest rating for ethics and legal ability.